Desc: Copper abstract navette shaped black horse earrings. The ear wires are fashioned from surgical steel. Each earring is an abstract navette shape and has diamond cutting around the outside edging. 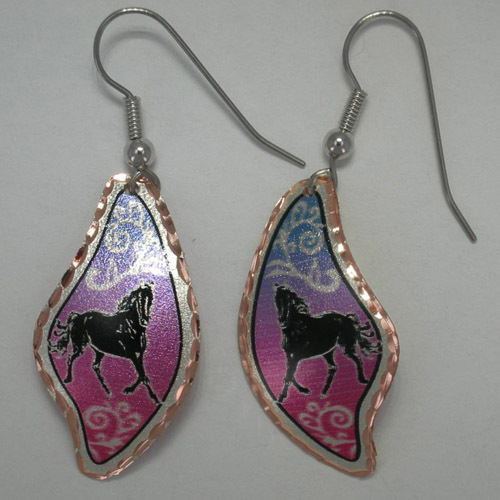 A trotting black horse is painted in the center of each earring. The earrings have bright polish and satin finishes.